There is no denying it. The people of Japan are on all of our minds. As parents these tragedies put us in a tough spot. Not only are WE trying to make sense of them, but we have children around us that are also catching glimpses of what is happening and overhearing conversations about the devastation. It is natural that our children will have questions, worries, and concerns. It is really important that we don't brush their concerns and emotions aside. When there is tragedy or disaster, we need to maintain a normal household routine. As part of that routine, keep your children active and encourage them to participate in recreational activities. It is natural for all of us to want to hibernate when there is tragedy. Getting out and being active will do far more to help us cope and heal. Reassurance is really important when helping our children. Answer your children's questions honestly, but don't dwell, or emphasize the scary details. Don't let the subject take over your lives, or dominate your family time. That also means that having CNN on 24 hours a day, showing photos and video of the disaster is too much for children. In all truth, it can be too much for us also. Recognize that as adults, we will also have our own reactions and response to tragedy. Don't over look that you might be coping also. How to talk to your children after tragedy and disaster. Don't be afraid to admit that you don't have all the answers to their questions. Provide opportunities for your children to talk about what they are seeing on television and to ask questions. Continue to provide opportunities for your children to talk. They will have more questions as time goes on. The tragedy has the potential to bring up other fears that your children might have. Discuss these issues also. Answer your children's questions on a level that they can understand. Simple words and explanations work best. Keep the facts appropriate for their age. Don't include more facts then necessary. Don't use the tragedy to instill fear, in hopes of teaching a lesson. Explain to your children that there are no bad feelings or emotions. What they are feeling is normal and OKAY. Encourage them to express their concerns and feelings to you and even other adults (teachers, grandparents etc..) who can help them understand their feelings. Monitor what your children see on television. Limit your children's exposure to graphic images. Don't let your children watch coverage of the event unless you are with them. That way, when questions arise, you can be there to answer them and you know what they have seen. Point out the good. There are always stories of hope amongst the tragedy. Find them. Talk about them. Heroes, families united, survivors. Use the tragedy as a time to work on your own families preparation. Do you have an emergency plan, 72 hour kits? Does your family know what to do if there is a fire or earthquake? Do your kids know how to call 911? Simple preparations will comfort you and your children. They will feel stronger and in control because you and your family are more educated and prepared. What if talking isn't enough? Stay active. Get out of the house and play. Go to the park, go for a walk, go bowling, anything. Let your minds and bodies feel strong and happy and free. This comes through recreation. Find ways to help those affected by the tragedy. If you and your children are more directly affected by the tragedy or disaster, intervention might be required. Your family might want to consider counseling. Traumatic events can bring out major fears in children. At the top of the list, loosing their parents. If you are coping, and struggling to give your children the help they need to cope, look for help. Modifications might be necessary. Explain the problem to teachers and make modifications at school. Keep your routine, but slow down a little. Read a few more stories before bed, leave your child's door open at night (if it is usually closed) or get a night light. It can be scary for parents to leave their children alone after a traumatic event. It is natural for parents to spend more time with their kids. If you are unable to leave them, and it is becoming a problem, consider seeking help. Enlist the help of other adults and teachers. Teachers can be especially helpful with our children, encouraging appropriate conversations and in class presentations. Is your family coping with the loss of a loved one? This tragedy affects us all. Here is some help when the tragedy hits closest to home. All the advice can be used as your family makes sense of the situation in Japan also. 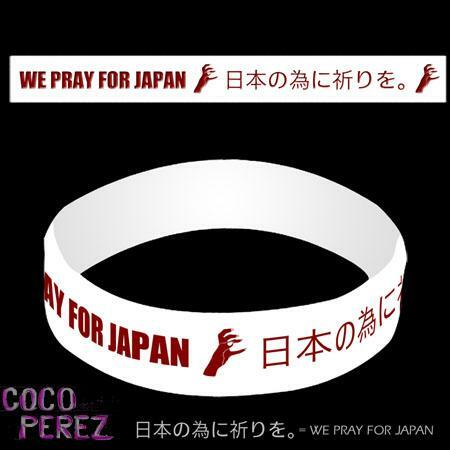 HAS THE TRAGEDY IN JAPAN AFFECTED YOUR FAMILY? HOW ARE YOU AND YOUR FAMILY COPING? Thanks for the ideas. Whenever I have the news on in the car, they always ask questions. This helps. It is a hard balance. Naturally, when they hear or see things they want to understand what is going on. It is trying to figure out what to say without scaring them that can be tough. Good thoughts on how to talk to your children about a crisis without causing them fear to keep going on. I think we as adults need to set a good example and make sure we don't over react and keep a level head about us. I've been writing about 72 Hour Kits and Family Emergency Plans on my site. I was just thinking about this today. A friend posted on FB that her 4 year old had busted open her piggy bank to help in Japan. My daughter is close to the same age and it hadn't even occurred to me to tell her. We don't have cable, or even watch over the air television, so she actually hasn't heard anything about the tragedy in Japan. But I don't feel the need to tell her about it. If she brought it up, I would definitely discuss it with her though. We've had lots of hard conversations in her short time with us. I'm visiting from the Mingle With Us Blog Hop. I blog at Family Musings.